In the Fourth character poster of Race 3, we meet 'sizzling Sanjana' played by Daisy Shah. After Salman Khan, Jacqueline Fernandez and Bobby Deol, the next in the cast of Race 3 to feature on Bollywood’s bhaijaan’s Twitter handle is Daisy Shah. In the fourth character poster of Remo D’Souza directorial, we meet ‘sizzling Sanjana’ played by Daisy. The 33-year-old actor entered Bollywood with Salman starrer Jai Ho. Sharing the look of Daisy, Dabanng Khan wrote, “Sizzling Sanjana waiting to explode . 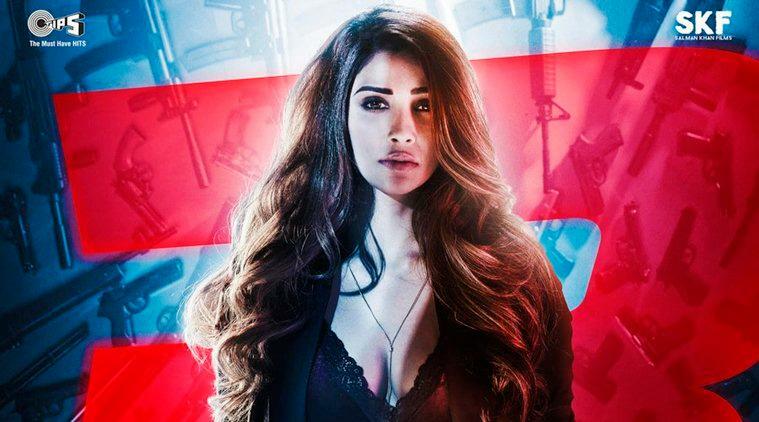 #Race3 #Race3ThisEid @ShahDaisy25 @SKFilmsOfficial @TipsOfficial.” Retweeting Salman’s tweet, Daisy also left her followers excited to know more about her role in the action-thriller. “It’s time to get dangerous! You think you can handle it? 💥🔥,” wrote Daisy. The third installment in the Race franchise, Race 3 is one of the much-awaited Bollywood sequels. The film has Salman replacing Saif Ali Khan as the lead actor and Remo D’Souza too has taken over from Abaas-Mustan as the director of the movie. Dabangg Khan, on Monday, promised his fans about introducing them to the ‘family of Race 3’ and since then he has been sharing one character poster every day. After the intriguing posters, we await the ones starring Anil Kapoor and Saqib Saleem now. Race 3 will see some thrilling action sequences and Jacqueline is going through an extensive training in Mixed Martial Arts (MMA) for the same. Director Remo is keeping the fans of the franchise film updated about its filming and has been sharing on-set photos of the cast of the movie. Produced by Salman Khan Films and Ramesh Taurani of Tips Films, the film will have an Eid release on June 15.